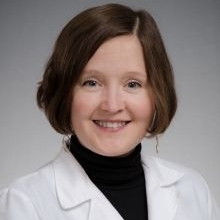 Elisabeth Lindley, MN, ARNP, is the nurse practitioner in the UW Memory and Brain Wellness Clinic. She works with patients and families to identify avenues to promote health, quality of life, joy, and safety. She is an expert in management of conditions causing memory loss: mild cognitive impairment and dementia including Alzheimer's disease, vascular dementia, Lewy Body dementia, and frontotemporal degeneration. Elisabeth prepares for and leads family conference visits and provides ongoing care for patients. She has been a nurse practitioner since 2012 and a nurse since 2009. Before coming to Harborview, she worked at the University of Washington School of Nursing on education grants, in research, as well as teaching classes to undergraduate nursing students. Both her nursing degrees (B.S.N. and an A.R.N.P.) are from UW. She also has bachelor’s degrees in chemistry and biochemistry from UW. Before becoming a nurse, Elisabeth worked in adult day health as an Alzheimer's program coordinator. She has worked since 2001 in developing programs for and in hands-on care with people with dementia. Collaboration with families of people with dementia has been an important part of her work since 2001. She is a member of the American Association of Nurse Practitioners. She was awarded deTornyay Healthy Aging Scholar in 2012.